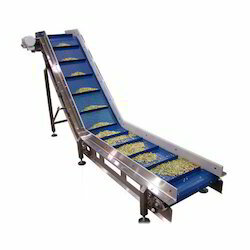 Prominent & Leading Manufacturer from Noida, we offer belt conveyor, horizontal conveyor, inclined screw feeder, screw conveyor, screw conveyor feeder and outfeed conveyor for packing machine. 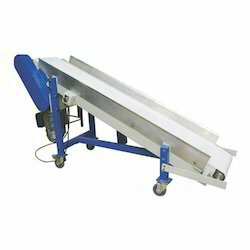 Due to our long years of experience and familiarity with this domain, we are engaged in offering a quality adhered assortment of Belt Conveyorin the market. These products are extensively demanded across the nation for its availability with us in different specifications. Acclaimed for their exceptional finish, we are providing these products at affordable rates to our valued customers within the promised frame of time. By keeping track with modern market improvements, we are offering an extensive array of Horizontal Conveyorfor our precious patrons. 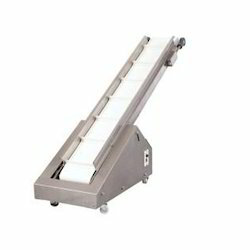 This conveyor is developed using optimum quality materials and adopting advanced methodology. 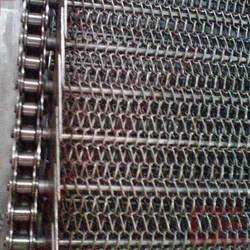 Also, our offered product is highly demanded by our clients for its optimum quality. Offered products is available in the market in varied specifications for our valued patrons. 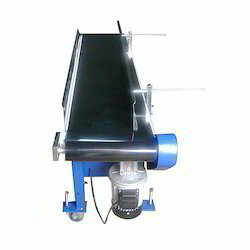 Horizontal type conveyor for Ink Jet Printing & Material handling purpose. Size - As per customer requirements. Owing to the support and dedication of accredited professionals, we are able to offer a wide gamut of Inclined Screw Feederin the market. The offered product is manufactured using supreme quality material and modern technology in compliance with the global quality norms. Additionally, the offered tool is acclaimed for its features like long functional life and minimal maintenance. Our clients can easily avail this product in various specifications as per their needs from us. 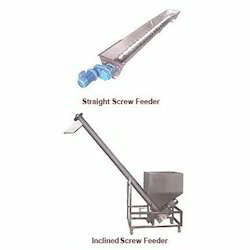 Screw feeding system for feeding the material into upper hopper of machine. Suitable for all type of powders such as Spices, Milk Powder, Pesticides and other powder products. Main hopper capacity - 200 kgs - 300 kgs. (depends upon density of material ). Automatic material controlling in upper hopper. Geared Motor - 2 HP three phase 440 V AC. Power requirement - 440 V AC, 50 Hz. 2 kW (max). 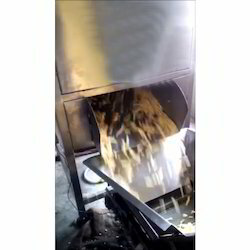 Screw feeding system for feeding the material into upper hopper of filling machine. Suitable for all type of powders such as Spices, Milk Powder, Flour, Paints, Clay powder, China Powder, Pesticides and other powder products. 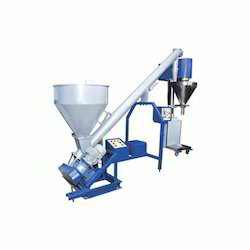 Open & Close type feeders as per requirement. All contact parts are made of stainless steel / Mild steel. 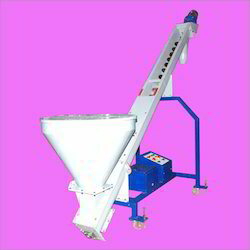 Main hopper capacity - 50 to 200 Kgs. (Depends upon density of material). 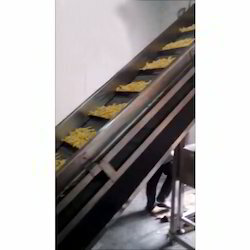 Automatic material controlling in overhead hopper. Suitable for pouch take-off from FFS machines & material handling. Mounted on wheels, easy to move. Both side adjustable / fix guides. Variable speed as per requirement. Power required - 220 VAC, Single phase 50 Hz, 1 kW. 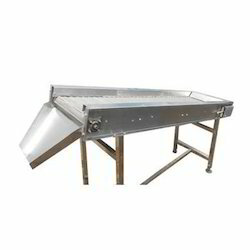 Suitable for all type of Free Flow material as sugar, rice, tea, seeds, namkeen, chips, snack food, Dry fruits, pulses, tobacco, candy, biscuits, etc. Main Motor - 0.5 HP Geared / Three Phase, 2.